Unbound Ideas 2019 - Stay Tuned! 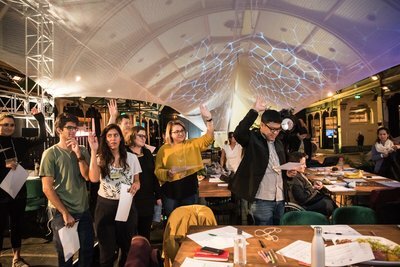 Unbound Ideas Summit is a celebration of social innovation and entrepreneurship — bringing together Australia’s leading and emerging innovators for an engaging day of big ideas! Breaking the mould of traditional conferences, this Summit is all about DOING, rather than being another talk-fest. 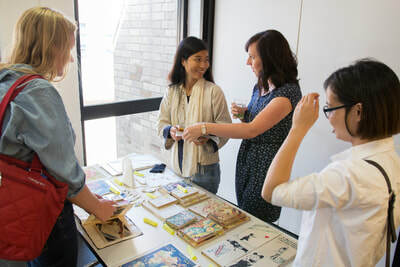 Get access to loads of hands-on, practice-based workshops tailored to the needs and skills of whoever’s in the room. We’ll also have debates, storytelling sessions, networking opportunities and even a comedy act! This year’s Summit will feature an Unconference style session where we hand the facilitation over to you - the experts in the room. 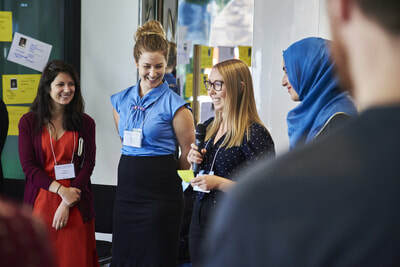 Self-nominated participants will be invited to lead in a 30 minute mini-workshop sharing their own ideas, knowledge, skills and experiences with other participants. Do you have a unique workshop you’d like to offer? Or an exciting idea you want build a movement around? Get in touch with the organisers and we can make it happen! As the cherry on the cake - we are also running Tuk Tuk Conversation Tours throughout the day (yes, you read correctly!). We have a real Tuk Tuk that will take you on a short tour around Melbourne’s loved CBD sites while you build solid connections with Australia’s top social innovators and ask your burning questions. Bronwen Clune is the Digital Director for LaunchVic whose mission is to develop and grow the local startup ecosystem in Victoria. Bronwen is also the Co-founder and Co-Director of Above All Human — an independent Australian tech conference focusing on the future of tech in the Asia-Pacific region, and she previously launched one of the first crowd-sourced new sites in the world that won a Webby Award for its innovation. With 12+ years in startups and media innovation, Bronwen offers her experience as a journalist and editor with a strong interest in the future of media. Her previous roles include Director of Content and Comms at Change Catalyst, Director of PR and Comms at Culture Amp, and regular Columnist for the Guardian. ​Julian is a social entrepreneur, educator and humanitarian engineer who is passionate about education and technology for social change. He is the Founder of Unbound (formerly Laika Academy), a social enterprise that designs and leads innovative education programs across the Asia-Pacific region. Before starting Unbound, Julian previously headed up the Engineers Without Borders Institute in their education and research division. His work in innovative education saw him recently named one of Australia’s Most Innovative Engineers by Creative Magazine and in 2016, he was the inaugural Westpac Social Change Fellow. ​Abena Ofori is the Social Impact Manager for the Melbourne Accelerator Program (MAP), Australia’s leading entrepreneurship program and startup accelerator. Her role at MAP is to infuse an awareness of social impact throughout their programs and to manage specialty programs to help to grow the sector more broadly in Melbourne and Australia. With a depth of international experience across social enterprise and not-for-profits including Aidha, Earth Hour and YGAP, Abena brings a fierce passion to her work and an unrivalled determination to challenge the status quo. ​Rahul is the Co-Founder and Director of Technology, Contemplation and Connections at Balancing Act3. In another life, Rahul was a Project Manager in the telecommunications industry but after coming to his senses, he fell into the social enterprise and startup world in Melbourne. He has cut his teeth working for startups and founded a consulting company whilst also creating The Disruptive Business Network — an event series and consulting service that looks at how new ideas and technology are changing business. As a consultant, Rahul focuses on business model design in the face of disruption (or change) using tools such as Design Thinking and The Lean Startup Methodology that focus less on strategy and more on mindset. He has a deep interest in entrepreneurship and technology, with a passion for how business can be the solution to the world's problems and not the cause. Laxmi is a self-proclaimed entrepreneurship evangelist and Head of The Talent Institute (TTI) in Australia. TTI accelerates young talent by training them in the latest skills, tools and mindset in startup, innovation and growth hacking, and placing them in top innovative companies. Their programs in Amsterdam have helped over 320 companies and trained more than 350 growth hackers in the last 3 years. TTI is part of Startupbootcamp - a global network of industry-focused startup accelerators that support early-stage tech founders to rapidly scale their companies through mentorship, partnerships and investment. Laxmi’s other roles include Co-Founder and Business Development Manager of Illume Interactive in India, Mentor for YGAP's First Gens Accelerator Program, and Entrepreneur in Residence at Startupbootcamp. Laxmi is passionate about helping startups and creatives see endless possibilities in their business endeavours by co-creating solutions that are sustainable and human-centric. Chris Ennis is the Founder of CERES Fair Food, an online organic grocery delivery service in Melbourne paying fair prices to farmers, providing jobs for asylum seekers, building community via 75 volunteer Food Hosts (pick-up points) and giving customers access to affordable local, fresh, organic and fairly traded produce. All profits generated by Fair Food go to supporting its parent organisation, CERES Community Environment Park — an award winning sustainability centre that provides extensive environmental education programs for the wider community. In 2017, Chris was awarded a Westpac Social Change Fellowship for his commitment to ethical food systems and Fair Food was the dual finalist in the Australian Social Enterprise Awards. Before creating Fair Food, Chris also started the CERES Urban Orchard, Australia's first neighborhood produce swap — a simple idea to share surplus produce and build community that has spread around the country and overseas. Jeanette is the Co-Founder and Chief Strategy Officer of Hacker Exchange, a tertiary-accredited program connecting the next generation of leaders to global innovation cities such as Silicon Valley and Tel Aviv. With 15 years experience innovating within the corporate sector, Jeanette’s team is dedicated to coaching, connecting and investing in the next generation of global entrepreneurs. She is also a regular speaker and facilitator on diversity in business, corporate innovation, women in STEM and startups, and the entrepreneurial mindset. Previous speaking engagements include Pause Fest Australia, Google Launchpad San Francisco, Code Like a Girl Conference and The League of Extraordinary Women ‘Tech-Formation' Summit. Additionally, Jeanette co-created the Gingerbread Demolition Fundraising Initiative for Save the Children Australia where she smashes giant gingerbread houses for a good cause. Dr Nick Brown is a Lecturer of Humanitarian Engineering at RMIT University and believes that engineering has an important role to play in addressing complex global issues such as poverty, inequality and sustainability. Before joining RMIT, Nick was the Research Lead at the not-for-profit organisation, Engineers Without Borders Australia (EWB), where he led the development and delivery of a suite of innovative humanitarian engineering education and research initiatives that generated new knowledge and technologies for sustainable development. He is passionate about inspiring, equipping and empowering engineers to meet community aspirations and desires both in Australia and overseas. His research work focuses on the application of design, technology, entrepreneurship and education for social change. Alanta is a science communicator, comedian and bee keeper. She holds a Masters in International Public Health and has worked in health programs in Uganda, Kenya, Cambodia and East Timor, around HIV, Malaria, and nutrition. She's spent the last few years working with Engineers Without Borders, leading immersive training for university students in Human Centred design in Cambodia, Samoa, Timor, Leste, and India. She's just returned from touring the science comedy debate 'Sci Fight' around Australia and delivering her sell out solo show 'Parasites Lost' at the Sydney Science Festival. She enjoys tea, arguments, and escaping Melbourne winter. Kaia Myer-Stewart is the Communications Manager at Unbound, a social enterprise leading innovative education programs on sustainability, social enterprise and social impact design, and winner of UNLEASH Innovation Lab in Singapore. During this workshop, she offers her extensive background in communications and marketing strategy with diverse roles in technology, software development, education and psychology. Sara is the Co-Founder & Director of Wayapa Wuurk. Sara brings 15 years of experience working with Indigenous communities across various sectors, including employment, training and mentoring, culture and art servicing. Sara’s previous roles include Deputy CEO of The Replay Group, specialising in Indigenous employment, training and mentoring; and Business Development Manager for the Koori Heritage Trust in Melbourne. ​Ryan runs Hinterland Innovation, a human-centred design studio specialising in connection. He is all about startups, strategy and social change, with more than a decade of experience in work that blends rigour and heart. In addition to Hinterland, he's an associate at The Australian Centre for Social Innovation (TACSI) where he's worked for the past five years designing strategy, policy and programs for social change organisations. Prior to Hinterland, Ryan has worked for a digital healthcare startup connecting patients to doctors, an online collaboration startup in London, and a primary school software startup in Austin. Other projects include helping global non-profit Ashoka to accelerate social innovation in US cities, a stove for rural Guatemalan families, and a product to reduce HIV transmission in Africa. Outside of work, Ryan loves mountains, mandolins, and milkshakes. ​Dr Chris Mason is a Senior Research Fellow for the Swinburne Centre for Social Impact (CSI). His research interests cover social enterprise, policy development, discourse, identity and corporate social responsibility (CSR). Chris is internationally-recognised for his social enterprise research and his work deals with the complex relationships between entrepreneurs, organsations and policy. His research has been published in leading peer-reviewed journals, including the Journal of Business Venturing, Policy & Politics and the Journal of Business Ethics. He is an Associate Editor for the Social Enterprise Journal and serves on the Editorial Board for the Journal of Social Entrepreneurship. Chris also leads the development of the Social Enterprise Reporting Tool (SERT), a free web-tool for social enterprises to monitor the performance. ​Jamie is a respected senior knowledge-holder within the Gunditjmara and GunnaiKurnai communities, and is the Co-Founder and Executive Director of Wayapa Wuurrrk (wayapa.com). Jamie has trained over 25 Aboriginal Wayapa practitioners; providing meaningful work opportunities for Aboriginal Victorians. Jamie also brings 23 years of experience in Aboriginal enterprise, wellbeing services, and cultural mentoring. Zoe is the Founder and CEO of She's A Crowd, a digital storytelling platform that is closing the data gap in sexual assault & gender-based violence. In 2018, She’s A Crowd was listed in @smartcompany's #Smart30 list at number 7, and in 2017 she received grant funding from FYA’s Young Social Pioneers program to launch Free To Be, a digital crowdmapping tool for young women that helps make cities safer and more inclusive. 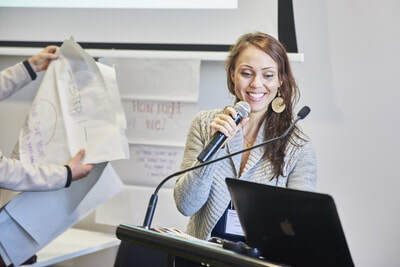 Previous roles also include Youth Advocacy Advisor at Plan International Australia where she created a national youth activist program empowering gender advocacy skills. Zoe has been named one of Women’s Weekly’s Woman of the Future for Innovation & Technology, and one of the Top 100 most influential, creative and provocative people in Melbourne by The Age. She is also a fellow of the School for Social Entrepreneurs and of the Oaktree Leader’s Trust, winner of Anthill Magazine’s 30under30 young entrepreneurs award, and Parliamentary Delegate for the International Day of the Girl Child in 2014. Zoe is now studying her PhD at XYX lab Monash University looking at the digital democratisation of the female narrative in shaping cities and places. Bri Johnstone is the Director of One St. Over, a service design consultancy specialising in innovation programs, community management and organisational culture. Bri is also the Founder of Hear You Now - a mental health focused social enterprise, Program Founder of RMIT’s Bright Sparks program - designed to inspire, prepare and connect the next generation of female leaders and entrepreneurs, and was the Senior Manager at RMIT’s Activator - RMIT’s in-house entrepreneurship hub. ​Anna fills her days working between Balancing Act3 and social work. With an undergraduate degree in Social Work and a Masters in Human Rights Law, Anna keeps her feet firmly on the ground in practice, whilst also working at a high level advocating and influencing social policy. Anna is passionate about ensuring that policy makers are connected with the realities at a ground level. Anna has spent the last two-and-a-half years working across all NDIS trial sites supporting service providers, families and stakeholders to prepare for their transition to the NDIS. During this time Anna has worked in partnership with the NDIA on the system design of the NDIS for the early childhood sector specifically. Anna believes a hands on approach is key to lasting systemic change. ​Kunal is the Co-Founder & CEO of Eugene - a digital health service that provides at-home genetic tests and in-app counselling to support people in making smart health choices. These genetic screening products are designed to be accessible to everyone and not just a select privileged few. Kunal is an serial entrepreneur, designer and technologist who previously founded organisations Kosmovista and OutTrippin and was the Entrepreneur in Residence at Angelcube and Inspire9. He has lived and worked in Australia, US, Latin America, Middle East & India, and speaks 4 languages - making him a global expert on startups and innovation. Kunal is passionate about addressing the diversity gap in data used in healthcare research, improving access to new healthcare technologies, and addressing unequal health outcomes for ethnic and racial minorities. 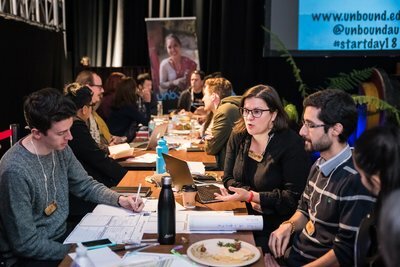 ​Olivia is the Principal Australia Consultant at The Difference Incubator, a social enterprise incubator that partners with social businesses to help them become investable and scaleable. 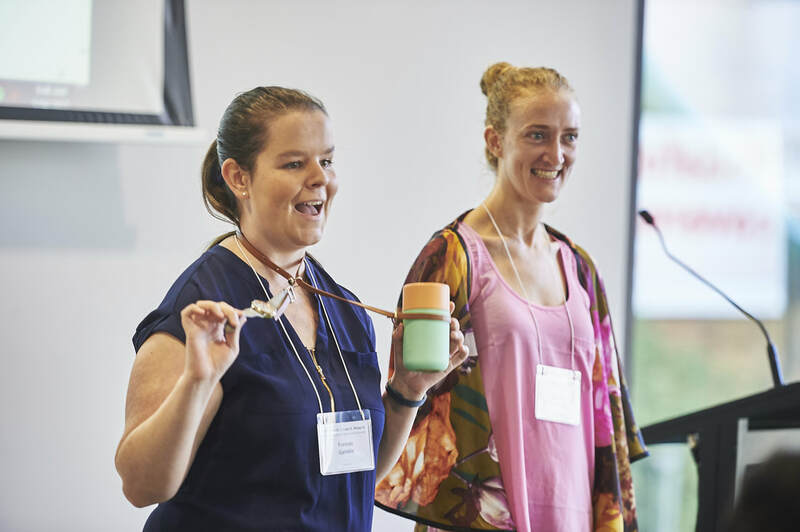 A natural innovator, Olivia is passionate about using new ideas and strategies to increase organisational health as well as individual performance in social enterprises. Her previous roles include Executive Member of a large health and community services provider, and Founder of an alternative health and spirituality enterprise. Holger is the Founder and Director of Space Tank, Australia's first high end maker-space and product development incubator for startups. With over thirty years experience in 3D animation for film and TV, fine art, traditional boat building and residential construction, Holger is on the pulse of innovative design and construction technologies with commercial potential. In fact, he was often the maker connecting design and finance. This culminated in the idea of creating a fully equipped manufacturing incubator to help emerging product developers commercialise their IP, and with that, Space Tank was born. Today, Holger continues to engage with industry, local government, businesses and the world of makers in an effort to broaden the acceptance of maker-spaces and grow an ecosystem of connections to assist product development entrepreneurs. Julian is a social entrepreneur, educator and humanitarian engineer who is passionate about education and technology for social change. He is the Founder of Unbound (formerly Laika Academy), a social enterprise that designs and leads innovative education programs across the Asia-Pacific region. Before starting Unbound, Julian previously headed up the Engineers Without Borders Institute in their education and research division. 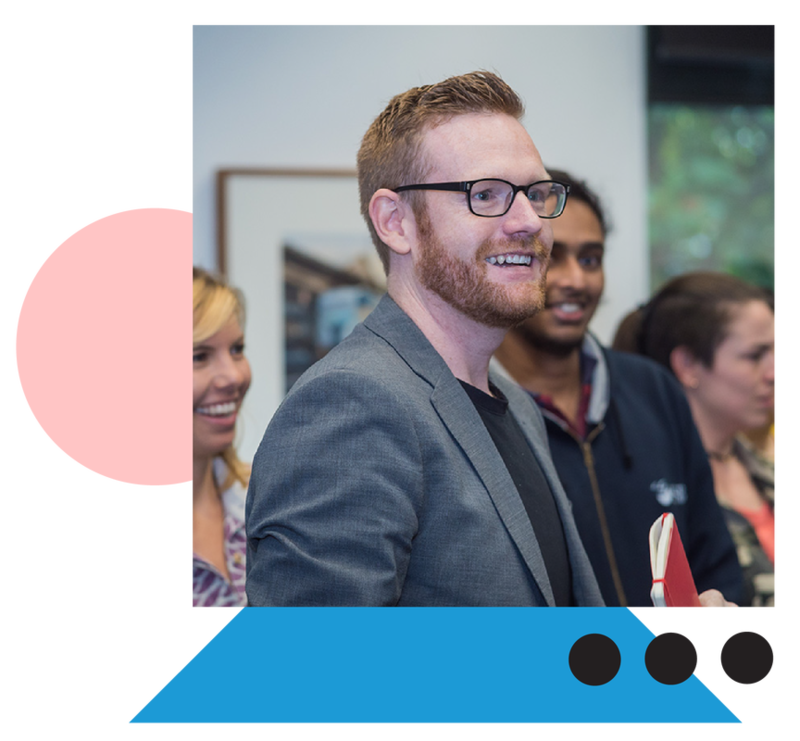 His work in innovative education saw him recently named one of Australia’s Most Innovative Engineers by Creative Magazine and in 2016, he was the inaugural Westpac Social Change Fellow. Karina Ojeda is a Latin American woman originally from Barranquilla, Colombia. She is the Co-Founder and Director of Mosaik Experiences, a social enterprise which aims to inspire a sense of community by immersing people in the rich Latin Culture. Mosaik offers unique, authentic experiences that incorporate the most exotic ingredients of the Latin culture; music, dance, arts, craft, food and language. She is also the Co-Founder and Vice-President of Casa Cultura, a non-profit organisation that uses cultural arts education to bring about social change. CC adopts a model of an inclusive collaboration, drawing on the examples of Latin-American cultural values that embraces diversity and support community connection. Karina is passionate about social entrepreneurship, cultural and community development and cross-cultural leadership, and loves to share her Latin culture as a mechanism for social change. Hear stories of entrepreneurs when things didn’t go to plan. The misses and mistakes in an honest and open forum. We will hear from a panel their biggest mistakes, what happened and what they learned along the way. Rahul is the Co-Founder and Director of Technology, Contemplation and Connections at Balancing Act3. In another life, Rahul was a Project Manager in the telecommunications industry but after coming to his senses, he fell into the social enterprise and startup world in Melbourne. He has cut his teeth working for startups and founded a consulting company whilst also creating The Disruptive Business Network — an event series and consulting service that looks at how new ideas and technology are changing business. As a consultant, Rahul focuses on business model design in the face of disruption (or change) using tools such as Design Thinking and The Lean Startup Methodology that focus less on strategy and more on mindset. He has a deep interest in entrepreneurship and technology, with a passion for how business can be the solution to the world's problems and not the cause. Anna fills her days working between Balancing Act3 and social work. With an undergraduate degree in Social Work and a Masters in Human Rights Law, Anna keeps her feet firmly on the ground in practice, whilst also working at a high level advocating and influencing social policy. Anna is passionate about ensuring that policy makers are connected with the realities at a ground level. Anna has spent the last two-and-a-half years working across all NDIS trial sites supporting service providers, families and stakeholders to prepare for their transition to the NDIS. During this time Anna has worked in partnership with the NDIA on the system design of the NDIS for the early childhood sector specifically. Anna believes a hands on approach is key to lasting systemic change. Kunal is the Co-Founder & CEO of Eugene - a digital health service that provides at-home genetic tests and in-app counselling to support people in making smart health choices. These genetic screening products are designed to be accessible to everyone and not just a select privileged few. Kunal is an serial entrepreneur, designer and technologist who previously founded organisations Kosmovista and OutTrippin and was the Entrepreneur in Residence at Angelcube and Inspire9. He has lived and worked in Australia, US, Latin America, Middle East & India, and speaks 4 languages - making him a global expert on startups and innovation. Kunal is passionate about addressing the diversity gap in data used in healthcare research, improving access to new healthcare technologies, and addressing unequal health outcomes for ethnic and racial minorities. Learn how to share your personal and business story in a practical and hands-on session. Turn ideas, experiences and your journey into an engaging pitch for investors, customers and partners. There’s more to life than the hustle - and this session uses movement, community and connection to achieve some work-life balance. This session focuses on important teachings from Wayapa Wurrrk - an Aboriginal-owned social enterprise that trains and supports Aboriginal entrepreneurs in creating independent businesses that deliver Wayapa® workshops. Wayapa® is an Aboriginal wellness modality that teaches Aboriginal philosophies around holistic wellbeing. These workshops aim to increase the accessibility of Indigenous knowledge around sustainability and wellbeing, and are in high demand from schools, community groups, corporates and individuals as a cultural learning tool and alternative to Eastern practices such as yoga. Wayapa® is also the only known Indigenous modality certified by the International Institute for Complementary Therapists. Jamie is a respected senior knowledge-holder within the Gunditjmara and GunnaiKurnai communities, and is the Co-Founder and Executive Director of Wayapa Wuurrrk (wayapa.com). Jamie has trained over 25 Aboriginal Wayapa practitioners; providing meaningful work opportunities for Aboriginal Victorians. Jamie also brings 23 years of experience in Aboriginal enterprise, wellbeing services, and cultural mentoring. Entrepreneurs are like modern rock-stars - everyone wants to be one, they are all over the media and they are revered as revolutionary leaders. Social entrepreneurs, that is founders of enterprises created to fulfil a social mission, are also hailed as the new superheroes for their innovate approach to social change. Over the last 10 years, there has been a growing stream of new programs, incubators, grants and courses encouraging the masses to jump on board and launch the next big venture. But is this really the best avenue for innovation and positive social change? Where are these trends really leading us, and is it all its cracked up to be? We also see little discussion on the value of intrapreneurial innovation based on lived experience within existing companies, and the role of government in this debate. In which case, we have to ask the question - is more entrepreneurship really the answer? In this panel, we hear from giants from the social innovation ecosystem debating whether the world really needs more entrepreneurs. Abena Ofori is the Social Impact Manager for the Melbourne Accelerator Program (MAP), Australia’s leading entrepreneurship program and startup accelerator. Her role at MAP is to infuse an awareness of social impact throughout their programs and to manage specialty programs to help to grow the sector more broadly in Melbourne and Australia. With a depth of international experience across social enterprise and not-for-profits including Aidha, Earth Hour and YGAP, Abena brings a fierce passion to her work and an unrivalled determination to challenge the status quo. Dr Chris Mason is a Senior Research Fellow for the Swinburne Centre for Social Impact (CSI). His research interests cover social enterprise, policy development, discourse, identity and corporate social responsibility (CSR). Chris is internationally-recognised for his social enterprise research and his work deals with the complex relationships between entrepreneurs, organsations and policy. His research has been published in leading peer-reviewed journals, including the Journal of Business Venturing, Policy & Politics and the Journal of Business Ethics. He is an Associate Editor for the Social Enterprise Journal and serves on the Editorial Board for the Journal of Social Entrepreneurship. Chris also leads the development of the Social Enterprise Reporting Tool (SERT), a free web-tool for social enterprises to monitor the performance. Olivia is the Principal Australia Consultant at The Difference Incubator, a social enterprise incubator that partners with social businesses to help them become investable and scaleable. A natural innovator, Olivia is passionate about using new ideas and strategies to increase organisational health as well as individual performance in social enterprises. Her previous roles include Executive Member of a large health and community services provider, and Founder of an alternative health and spirituality enterprise. Have you got a startup idea and need some support in bringing it to life? Then this session for you! This workshop is all about cultivating the best mindset in your enterprise and how to think like an entrepreneur in order to supercharge your business potential. In particular, we discuss why and how you can activate an entrepreneurial mindset which is fast-becoming a critical asset in today's business world and in the future of work. Participants will also get the opportunity to dig deep into some of the big questions like; what are the career options available for people with this mindset? And can you work for someone else and still be entrepreneurial? Melbourne is home to numerous inspiring stories of migrant entrepreneurship, and in this session, we hear stories from some of the remarkable innovators that now call Melbourne home. This workshop is sure to inspire and motivate you into action! In this workshop, Saida will share her remarkable story of courage and resilience, and teach you how to make earrings using traditional African Fabric. Saida lived in various refugee camps in Africa after fleeing the civil war in Rwanda. Acting an interpreter in Tanzania gave Saida the opportunity to meet Australian volunteers and she eventually came to Australia in 2009, relieved to find a safe place to live. Saida is now an entrepreneur with SisterWorks making jewellery, namely earrings using African fabric and beaded jewellery from recycled magazines. She loves to inject life into her pieces with colour and traditional techniques she learnt in Africa. 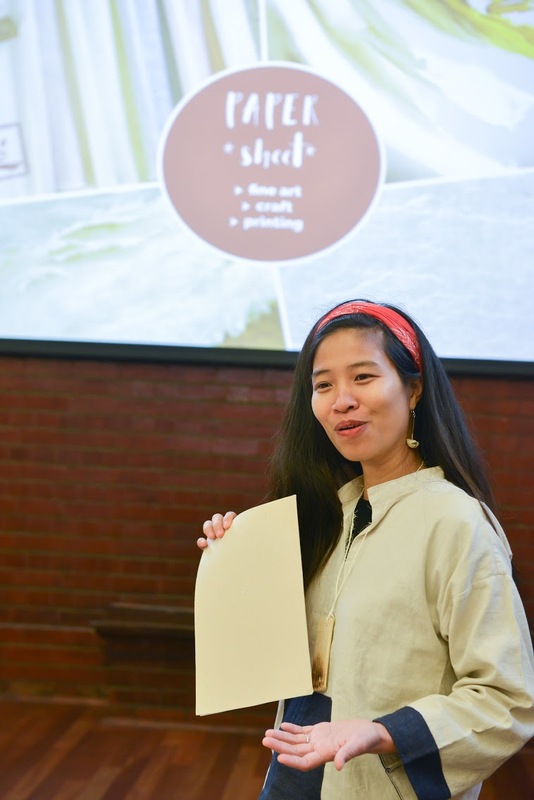 SisterWorks is a not-for-profit social enterprise that supports women who are migrants, people seeking asylum and refugees to become financially independent and happily settled in Australia. Today, SisterWorks includes over 171 Sisters: 68 remarkable volunteers, 10 board members, 5 part-time staff and 88 amazing women who are working hard to become entrepreneurs or to have work experience in Australia that allows them to become self-sufficient and independent. Over to you! This un-conference style session is designed to learn from expertise in the room - the participants themselves! Nominate a topic/workshop you'd like to lead, and we'll provide the space. More engagement, less sitting quietly. Too many of us dislike our bodies and other aspects of ourselves, and allow our inner critic to run the majority of our thoughts, feelings and actions. Most of us know what this elusive ‘body love’ concept is — but struggle to know HOW to get there. This workshop will involve various practices for self-connection and explore the societal impact on individual body image. Elysia is a speaker, writer, singer songwriter & the Founder and Creator of The Body Love Collective. An introduction to a life and career planning tool that takes the agony out of decision-making. Particularly valuable for those facing career decisions. Chris is the Procrastination Paramedic and helps people find their focus. Most SMB’s and social enterprises face challenges in getting organic traffic to their sites, with lot of misinformation and myths out there. Rajiv will share actionable insights for improving organic traffic and keyword rankings. This interactive workshop is valuable for anyone wanting to learn more about search engine optimization and how Google ranks your website. Rajiv is a SEO consultant with 17 years of experience in multi-channel digital strategies working with websites like the Carsales Network, Woolworths Group and IBISWorld. He is also the Founder of SEO Auditing, helping social startups improve their visibility online. As humans, we’re not great at remembering long lists of things. Particularly when we go shopping. We’ve all forgotten the milk one time or another. So someone created a useful tool to help us out: the humble shopping list. What does this have to do with human-centered design (HCD)? Well HCD is no more or less magical than that humble shopping list. It is a collection of tools, practices, and mindsets that help us innovate in contexts of high uncertainty and complexity. In this short workshop we’ll cover a few aspects of innovation and entrepreneurship that are naturally difficult for humans and how HCD helps us overcome them. Ryan runs Hinterland Innovation, a human-centred design studio specialising in connection. He does startups, strategy and social change. Ryan runs Hinterland Innovation, a human-centred design studio specialising in connection. He is all about startups, strategy and social change, with more than a decade of experience in work that blends rigour and heart. In addition to Hinterland, he's an associate at The Australian Centre for Social Innovation (TACSI) where he's worked for the past five years designing strategy, policy and programs for social change organisations. Prior to Hinterland, Ryan has worked for a digital healthcare startup connecting patients to doctors, an online collaboration startup in London, and a primary school software startup in Austin. Other projects include helping global non-profit Ashoka to accelerate social innovation in US cities, a stove for rural Guatemalan families, and a product to reduce HIV transmission in Africa. Outside of work, Ryan loves mountains, mandolins, and milkshakes. You don’t have to go it alone, and creating social change takes teamwork! 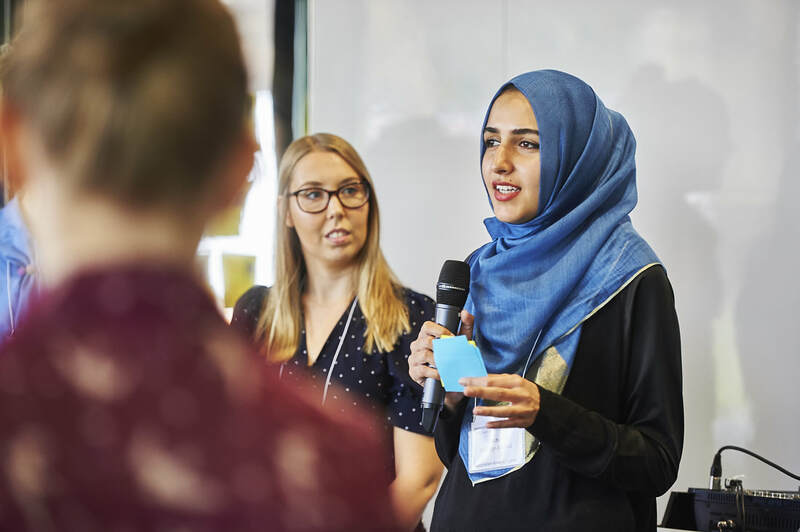 This workshop helps to address the lack of collaboration, efficiency and social impact between diverse organisations within the innovation ecosystem. It shares highly useful and practical tips for building effective networks and creative tools for strategic collaboration. Andrea Mayorga is a social impact leader, humanitarian engineer and Founder/CEO of Beyoinder. BeYoinder is currently building an international network of organisations leading innovation within the sustainable development community. The network uses a smart, online database to help users improve their efficiency, transfer resources and solutions, create partnerships and make a bigger impact through collaborative action. Before creating Beyoinder, Andrea’s previous roles included Insight Ambassador and Public Relations Officer at Insight Academy of Entrepreneurship and Innovation, and Sustainable Business Facilitator at SOMOS 21. To maximise inclusion we have a Pay-As-You-Can pricing model. We don't want cost to be barrier for anyone to attend. While the lowest ticket price is $25, if this is not possible for you, please get in touch at brittany@unbound.edu.au and we can arrange something for you. If you would like to pay an amount not listed, use the Additional Amount/ Donation option: e.g. to pay $125, select $100 ticket, then enter $25 in the Additional Amount Box. For any questions or alternate ticket buying options - such as receiving an invoice - please get in contact. If you purchase a ticket and can't make it for any reason, please let us know and we'd be happy to pass your ticket on to another attendee so you can receive a full refund. A full day of ideas, great speakers, hands-on learning, collaborative discussions, good laughs and more! I have special dietary requirements - can that be catered for? ​I'm on the fence about coming - should I do it? ​Yes. Everyone coming will be super lovely and we will make sure you have a great day. I'm not sure I can afford a ticket in the suggested price range - can I still come? Can I pay more than the suggested price? ​Yes. And big thanks for your support of this great initiative. ​One of the speakers look amazing and work aligns with my own, can I arrange a one-on-one meeting with them while they are in Melbourne? ​They are amazing. We would love to help you do that - just get in contact and we will make it happen either on the day, or in the days on either side. Let her/him know that this is a professional development event that's got a high caliber line up of global speakers and sector leaders, lots of opportunities to network, and access to ideas and strategies at the cutting edge. Also, volunteer to take great notes and share the outcomes with your team on return. I'm travelling to Melbourne for this event, where should I stay? This event is super central with lots of accommodation close to the university, so you have a lot of options. Check out the standard hotel booking sites, hostel options or AirBnB. Plenty of choices! So should I book my ticket now? Yep. They are limited and we expect them to go fast, so click on the Tickets button and make it happen. I'm with the media and am interested in attending or arranging an interview with one of the speakers, what's the best way to do this? Cool. Get in contact (details below) and we would love to host you with a Media Pass and line up an interview. I have another question that's not on here - what do I do? Drop us a line. Check our contacts page.